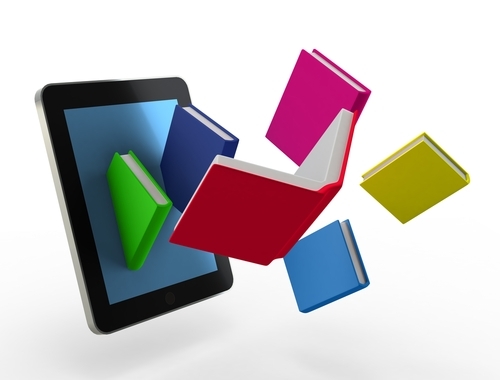 The e-book fad has slowly died down in the past several years and sales of print books have taken command of the market. While digital readership is still strong, statistics show that avid bookworms prefer the hard copy, and industry sales reflect this. In contrast to the idea that publishers are struggling, the truth of the matter seems to be that e-books have a niche audience, but that the majority of readers have come down on the traditional side. Forbes reported that, based on figures from Statista, the global e-book industry has reached a collective worth of approximately $8.5 billion. This is certainly a significant number, but it falls well short of global print's $53.9 billion net worth. The source said that the pace of the "digital revolution" has become stagnant, with growth rates and revenues both hitting a plateau in recent years. If these numbers hold steady on both sides for the foreseeable future – which they are likely to do – there shouldn't be any doubt with regard to the longevity and market dominance of the print industry. Given that e-books have never actually composed more than a third of overall sales, Bustle suggested that print has not relinquished its role as the leader of the pack. In contrast to the projections made by analysts, the digital format never really took off as the primary method of consuming books. The source noted that an often overlooked explanation for the halt of expansion for e-readers is that most consumers who like them already own one. The industry is not necessarily designed to sell as many e-readers as individual books, because that would simply be impossible. But statistics do show that the average reader has a strong inclination toward print. Forbes cited that only a third of women and just 23 percent of men who regularly read do so electronically. Of U.S. Internet users – which, in 2015, pretty much includes everyone – the vast majority indicated a strong preference for print. On the whole, 79 percent said they read at least as many hard copies as they do e-books. Of that figure, the majority expressed they exclusively read print books, coming in at 46 percent overall of those surveyed. Though paper books might still be the predominant method of consumption, digital publishers have carved out a solid niche for their products. According to Forbes, 38 percent of U.S. Internet users do read e-books, even though most said they preferred the traditional form. And although e-reader revenues are down, sales of individual e-books are still climbing, though the profits are not even in the same stratosphere as those garnered from hard copies. Bustle advised that despite the constant bickering from each side of the industry, there really isn't a reason why print books and e-books can't coexist. Each platform has its avid supporters, detractors and neutral parties. The source said that depictions of digital forcing its dated counterpart into extinction, or the power of print prevailing over flashy but unsustainable modernity are both misrepresentations of the reality of the market. Instead of engaging in an ongoing battle, the two media exist fairly independently. There's no denying that readers still largely prefer to read traditional hard copy books. Both surveys and sales numbers demonstrate this sentiment. However, this does not mean that e-books are failing, or that neither can exist within the scope of a shared marketplace. Like any other industry, there is a competitive balance between print and digital publishing, and there are no indications that either is going to eventually reign supreme and eliminate its rival format.